This stirring version of the pan-African national anthem ("Prayer for Africa") was sung by Joseph Shabalala and Ladysmith Black Mambazo, Paul Simon, and thousands of others during the Graceland African concert. 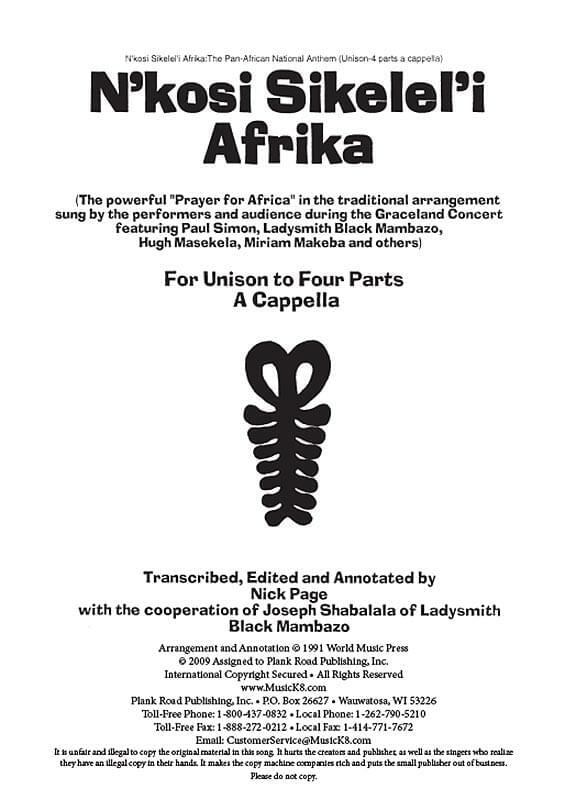 Arranged by Nick Page and Joseph Shabalala, it includes historical notes and an accurate singable translation. Grade 6+; may be sung in two or four parts.